While you're likely to have heard of the USA's 'big 5' animals, which include the likes of bears and bison, you may be less familiar with the country's smaller, but no less important, creatures. We have put together our own 'little 5', which are great fun to try to spot during our tours. These animals can be found in a variety of terrains, from high in the mountains to scrambling along forest floors, so no matter where you are, it is worth keeping your eyes peeled! 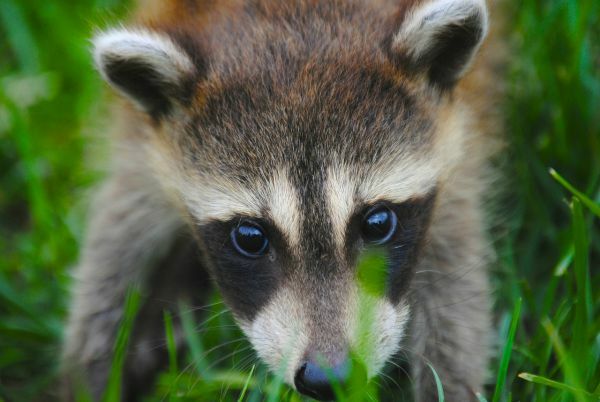 A popular choice for cartoon characters, raccoons are beautiful animals that have something of a reputation for making a nuisance of themselves! These nocturnal foragers will eat just about anything (and even rummage through people's dustbins to find a tasty snack), though in the wild they most commonly use their first reflexes to grab aquatic creatures. Common across the USA, raccoons are almost as flexible about where they live as what they eat. Forests, marshes and cities can all act as their homes, and within them their habitats vary from fallen logs, holes in trees and even human homes. As they are nocturnal creatures, you only have a chance of spotting them at night. Members of the squirrel family, chipmunks are always a delight to see. There are 25 species of chipmunk in total, 24 of which live in North America. 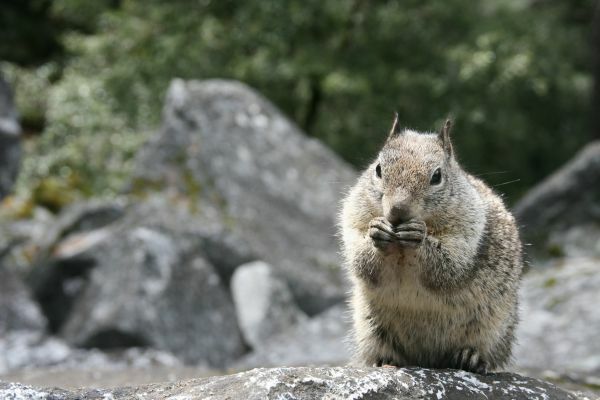 Eating mostly berries, nuts, grain and small insects, chipmunks hibernate through winter, and waking up periodically to snack on food supplies built up during the warmer months. Chipmunks can be found all across North America, and in all kinds of environments, including arid landscapes and alpine forests. Generally, you will spot them when they are scampering through undergrowth. Like the raccoon, these lively creatures are flexible about their habitats; some make homes for themselves in logs or bushes, while others dig complex burrows. 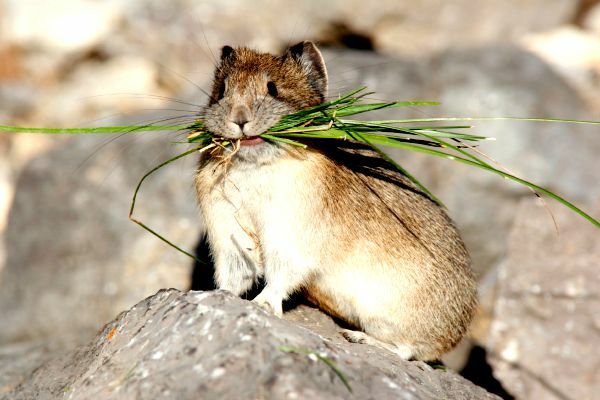 While American pikas may resemble rodents such as squirrels, they are actually more closely related to rabbits. These charming little creatures have large round ears and short, robust bodies that make them rather endearing to look at. Typically feeding on grasses and wildflowers, these industrious animals prepare for winter by laying out wildflowers in the sun to dry them out, essentially preserving them so they can be stored in their den to keep them going during the harsher months. You'll only have a chance of spotting a pika if you are going on a mountain trek, as they just live in cool, high, moist mountain ecosystems. Typically, they live on rock faces, rocky areas on cliffs or hillsides (which are known as a talus), or cliffs. Beavers are fantastic animals to see in the wild, particularly as the structures they create are so impressive. Building domelike homes - known as lodges - in the middle of ponds, beavers also forge dams to make suitable habitats for themselves. Indeed, they fell entire trees with their teeth to do so - a remarkable skill for such a small animal. 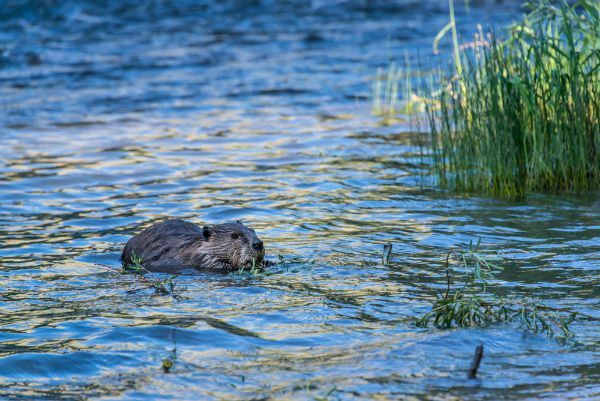 Beavers are found in the USA's forests, where you can spot them swimming in their ponds and working on their habitats. Their lodges are usually located right in the centre of the water, with only underwater entrances. They are possible to spot all year round; even ice doesn't deter them from foraging in their ponds. Usually referred to simply as gophers, pocket gophers are rodents that you'd be very lucky to catch a glimpse of. Pocket gophers are named for their large cheek pouches, which are used to transport food back to their burrows. 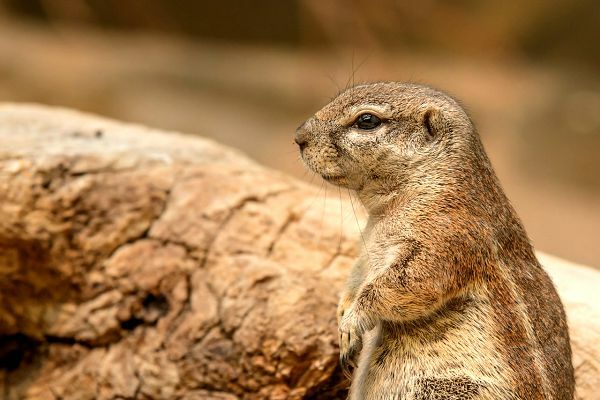 They shouldn't be confused with ground squirrels or moles, which are both occasionally referred to as 'gophers'. It is not easy to spot pocket gophers, so it's cause for a small celebration if you do. These rodents live in underground burrows, which they emerge from to find food - and it's when they're doing so that you're most likely to see them. They often pull entire plants into their tunnels via their roots, so if you see a plant suddenly plummet into the ground, you will know you're near a gopher!